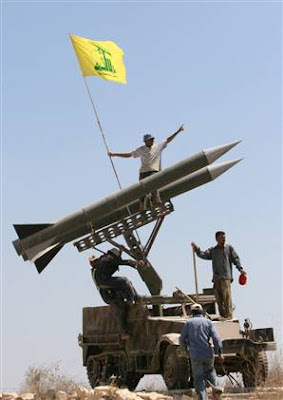 Middle East Perspectives by Rick Francona: Syria arming Hizballah - is this news to anyone? I read with some bemusement reporting in the British press earlier this week claiming that Syria was involved in the arming of Hizballah. Surely this is not news to anyone - the Syrians, and the Iranians via Syria, have been arming and re-arming Hizballah since the group was founded by the Iranian Islamic Revolutionary Guard Corps in 1982. See my earlier piece, Hizballah fully rearmed - is anyone surprised? According to the reports, Hizballah is using Syrian army depots to stockpile weapons from Syria and Iran before moving them into Lebanon. One of these depots is identified as a compound in 'Adra,a short drive northeast of Damascus. I would not be surprised at the use of 'Adra - when I was the air attache in Damascus, we often drove through the area. 'Adra is home to a notorious prison, military parachute training areas, a huge cement factory, the major Syrian customs facility, a large Syrian military hospital, air defense cantonments, and acres and acres of industrial compounds. We often suspected that many of the compounds were used to house and train militants of various Palestinian organizations opposed to Yasir 'Arafat's dealings with the Israelis. It would be a logical place to store Hizballah weaponry being taken from Syrian military stocks. Military materiel arriving from Iran by air is not likely to be stored at 'Adra - the Syrians and Iranians did not seem to be concerned if anyone observed cargo being off-loaded from Iranian air force B-747 cargo jets. The jets unloaded their military crates at the civilian terminal and onloaded them into trucks bearing the Hizballah logo on the doors. They immediately set out for the Lebanese border and the Biqa' Valley - the 30-mile trip from the airport to the border takes only about 40 minutes on the interstate-style Beirut highway. 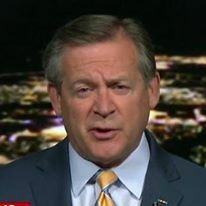 Here is a quote from the article, "The revelation adds to growing fears in the West that the regime of Bashar al-Asad, the President of Syria, is becoming increasingly close to Hezbollah and its main supporter, Iran." A revelation? I don't think so - this has been going on for almost 30 years. It has been no secret, despite at least two United Nations Security Council resolutions to halt the flow of weapons to Hizballah. The most recent resolution, UNSCR 1701, adopted to end the fighting between Israeli forces and Hizballah in 2006, forbids the resupply of Hizballah. The ink was not dry on the document before convoys again crossed the Syria-Lebanon border with arms to replenish Hizballah's depleted stocks of rockets. Israeli military intelligence officials confirm Hizballah's claims that they have more and better rockets now than they did prior to the fighting in 2006. At times, Israel has threatened to attack the resupply convoys, but has yielded to American requests to allow the Obama Administration's engagement efforts with Damascus to bear fruit. I initially supported the Obama effort to engage Syria, hoping that his Secretary of State or one of his numerous Middle East envoys would be able to convince Bashar al-Asad to rethink Syria's relationship with Iran (see Obama to "engage" Syria - why not?). Despite alienating the Israelis (which I did not support), there has been no progress with Syria, in fact, the situation is a bad as it has been since 2006. Also from the article: "Jihad Maqdisi, the spokesman for the Syrian Embassy in London, insisted that all military sites in Syria were exclusive to the Syrian military." I understand that this is journalism, but what did you expect him to say? Oh, well, you caught us - you're right, we've been violating international agreements for over a decade now. I don't think so. Syrian government claims are about as trustworthy as those of Iranian officials (think nuclear program). The bottom line: Syria and Iran have been funding, training and arming Hizballah continuously since its inception in 1982. They continue to do so. This is not news.